It must be convenient having eight limbs—but also, that's a lot to keep track of. 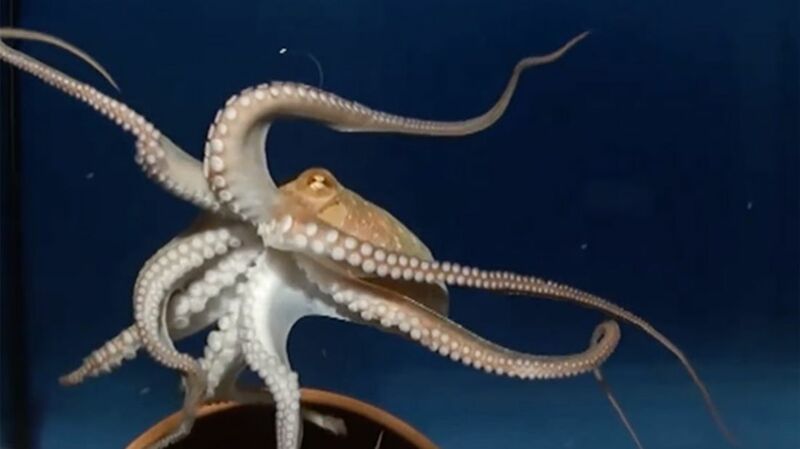 How do octopuses* manipulate their limbs to move? And how is it that they can move so well, even when their eyes are looking in another direction? Is the octopus's brain dealing with the precise location and movement of tentacles it can't even see most of the time? You can read more about octopus movement from the Times, or check out the research paper, entitled "Arm Coordination in Octopus Crawling Involves Unique Motor Control Strategies." * = The plural of "octopus" is properly "octopuses" or "octopodes." Wikipedia has a good explanation of this. "Octopi" is not the preferred nomenclature, dude.